You, too, can have the smile of your dreams! 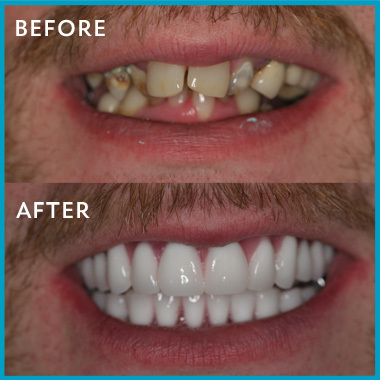 Our patients have been amazed at what modern dentistry can do for them. Teeth that appeared hopeless have been miraculously restored. We are committed to helping you understand your options. We would love the opportunity to show you the possibilities available to you. to reserve your Complimentary Initial Consultation. Living with ill-fitting dentures, failed dentistry, missing teeth, afraid of getting dentures? 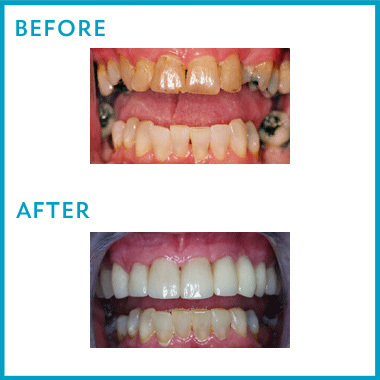 Dr. Walrond has a solution with a new, permanent set of teeth in 1 day. This treatment, commonly called All-on-4 dental implant procedure or Teeth in a Day, restores your ability to eat, talk and smile confidently. Call for your free consultation. He grew up in Greensboro. He attended public school and graduated from Southeast Guilford Senior High School. He continued his education majoring in Chemistry at UNC-Chapel Hill. He graduated with his Doctor of Dental Surgery Degree at the University of North Carolina at Chapel Hill School of Dentistry. 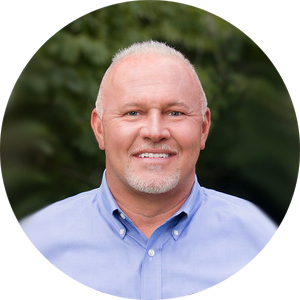 Dr. Walrond is a member of: The American Dental Association, The Guilford County Dental Society, The North Carolina Dental Society, The American Academy of General Dentistry, The American Academy of Cosmetic Dentistry. Our staff is ready to help you get the smile you deserve. From simple cleanings and checkups to more complex dental treatments, you will feel comfortable with us. Fearing the dentist? Our team is here to help put you at ease. We can also answer all your financial and payment questions. We are committed to helping you understand your options. We would love the opportunity to show you the possibilities available to you! You, too, can have the smile of your dreams. Our team can work to help you find a solution that fits your budget.